Union Monarch Sashcase centre section would have originally formed the centre of a three part lock. This part is the only section that is still available. 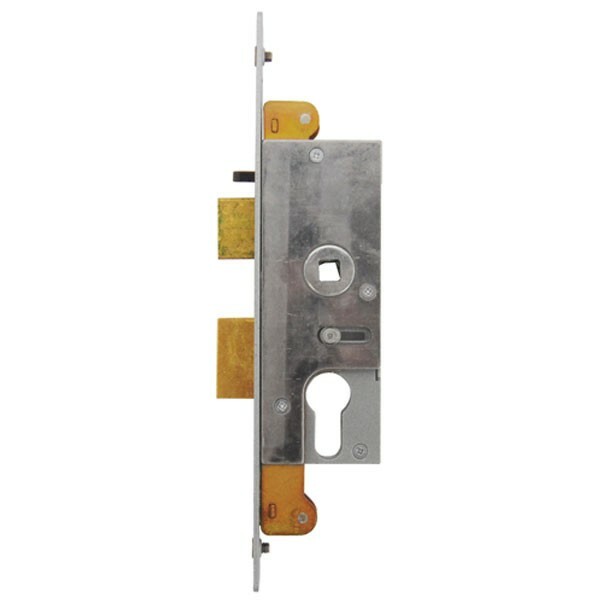 Deadbolt is locked or unlocked by key from either side using euro profile double cylinder. Reversible latchbolt withdrawn by lever handle or by key from either side. For 3 point locking, end unit bolts thrown by lifting handle and withdrawn by downward movement of handle. End unit bolts must be thrown to enable centre deadbolt to be thrown.